Ear infections are one of the most common reasons parents take their children to the doctor. 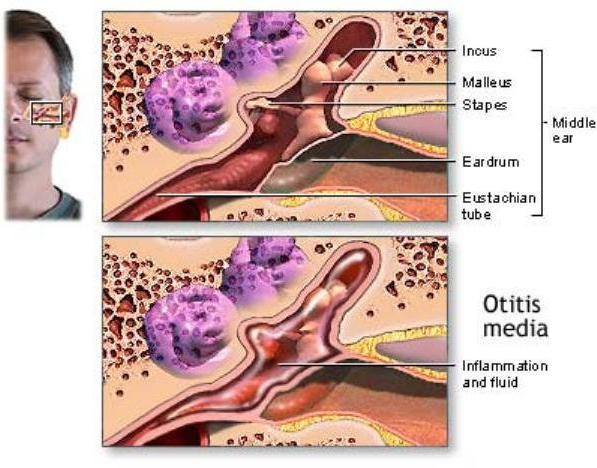 The most common type of ear infection is called otitis media. It is caused by swelling and infection of the middle ear. The middle ear is located just behind the eardrum. An acute ear infection starts over a short period and is painful. Ear infections that last a long time or come and go are called chronic ear infections. The eustachian tube runs from the middle of each ear to the back of the throat. Normally, this tube drains fluid that is made in the middle ear. If this tube gets blocked, fluid can build up. This can lead to infection. 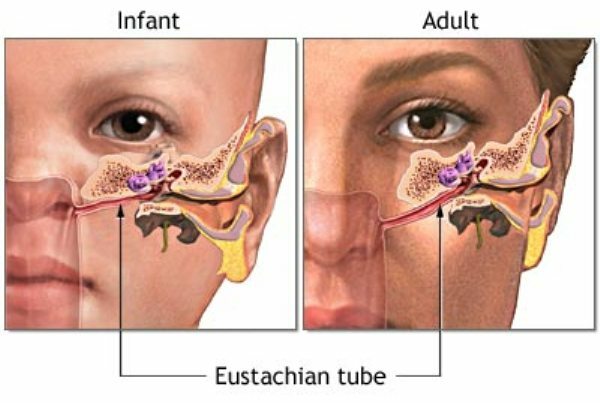 Ear infections are common in infants and children because the eustachian tubes are easily clogged. Ear infections can also occur in adults, although they are less common than in children. Ear infections are also more likely in children who spend a lot of time drinking from a sippy cup or bottle while lying on their back. Getting water in the ears will not cause an acute ear infection, unless the eardrum has a hole in it. Acute ear infections most often occur in the winter. You cannot catch an ear infection from someone else. But a cold that spreads among children may cause some of them to get ear infections. Health And Medical Information is dedicated to providing free health and medical information on a wide range of health conditions.